Inoculating yourself against stress is less painful than getting a shot in the arm and works just as effectively. Vaccinations are intended to challenge the body by injecting a small amount of the disease your are trying to avoid into your body and having the body respond to it by building antibodies to those viruses. Stress inoculation works by putting yourself into small and meaningful stressful situations so that you become more comfortable and ready to deal with the stress when it is for real. Want to get over the nervousness of presenting to your senior leaders, go ahead and rehearse your presentation in the Board Room with your boss. Starting a new job and concerned about not knowing anything about your colleagues? Check out their LinkedIn profile so that you can jump into the conversation armed with information. According to research done by Donald Meichenbaum, there are three phases to become stress inoculated. The first is to educate yourself about the situation so that you know all you need to know about what might happen. Next, is the skill acquisition phase where you practice the behaviors necessary to help keep the stress down and your success chances up. Third is the “go for it” phase where you put your learnings into play. And if it all doesn’t work out perfectly, you are still learning from your efforts, which mean you’ll do better later. 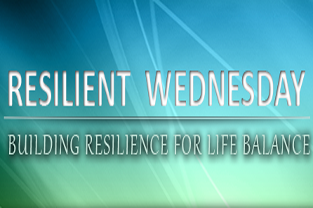 That is the essence of resilience…to continue to bounce forward and learn more about how you create more success.